How do I calculate the spot rate? How can I calculate the rates to construct the curve? I was thinking to use the formula converting par yield to spot rate, but I am not confident about it. Please give some hints or working on how to solve this. Thank you so much. This is because deposit rates use simple interest rate formula. Where 0.045 is the 1 year swap rate. Not the answer you're looking for? Browse other questions tagged quantitative spot-rate or ask your own question. 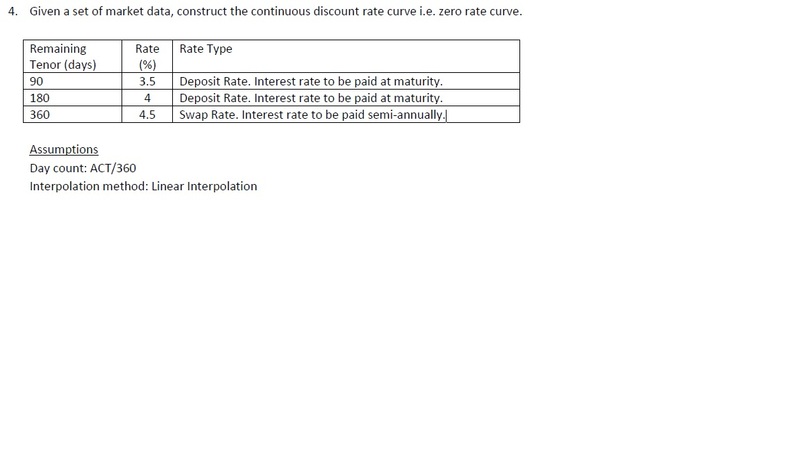 Interpolating spot rates given intermittent coupon-bond prices. Why do par-yield shifts grow faster across the curve than spot-rate shifts when looking at key-rates? How to calculate Market Return based on an own sample?